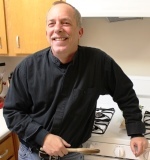 Right about now, you might be asking yourself, “Self, why is this white guy showing me how to make Indian fry bread?” Well, I don’t talk about it all that much, but I have Native American blood from both sides of my family. I identify most with my Cherokee blood, but you couldn’t tell by looking at me. The reason I don’t talk about it is because there are some places I’ve lived where you couldn’t throw a rock without hitting an “Indian Princess” in the head. And not one of them was ever associated with their Nation, much less know any of the culture, traditions, history or language. In the dominant culture, I’m just one more white guy claiming Indian blood. In the Nation, I’m just one more lost bird coming home. I’m not special because I have some blood, you know? Especially to the grannies and grandpas! They know who I am by how I act, how much wood I chop, how much water I carry. In other words, what I do for The People is far more important than blood quantum. Most people agree that fry bread was first created in the 1860s by the Navajo, when most of the Nations were herded onto very tough land – land that couldn’t support farming. The US provided lard, salt, flour, baking powder (or yeast), powdered milk and sugar, although it was often rancid. Notice that the list I just typed just happens to be the ingredient list for fry bread. 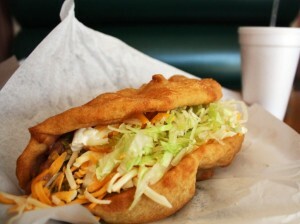 The concept of fry bread spread rapidly to other Nations, each of which has developed its own variation. Some use eggs; some use milk. But they all start with this basic recipe. And there are a lot of ways you can use fry bread, as I’ll show you below. Now… Let’s go have some fun and fry some bread! In a large bowl, combine flour, baking powder, powdered milk (if using) and salt. Make a depression in the center of the flour (this is called a “well”. Pour water into the well and, using your hands (Very Manly! But wash them first!!) or a wooden spoon, work the water into the flour. When all flour has been “wetted,” move to next step. Sprinkle some flour on a clean work surface and dust your hands with a bit as well. Then, place dough on work surface and knead it lightly. 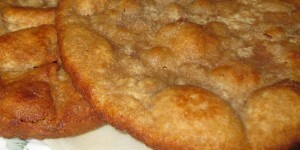 When ready, the dough should be soft and moist, but should not stick to your hands. If necessary, add a little water or flour until you get the proper consistency. When ready, roll the dough into a log about 3 inches in diameter. Cover with a clean kitchen towel and let it rest for ten minutes. Cut the dough into equal-size pieces. For most, this will be 6 or 8 pieces. I usually do 8. Roll each piece into a ball. Then, dust your work surface again, and use a rolling pin to roll each ball in a flat disk about 1/5 of an inch thick. Stack the discs to the side, dusting the top of each with a little flour so they don’t stick together. Heat a cast iron skillet or other heavy-bottomed pan over medium-high heat. When hot, add an inch of oil and let it heat until it begins to shimmer. Test the oil with a small piece of dough. 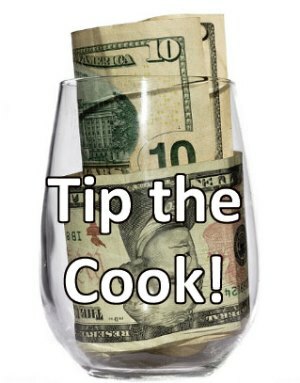 Drop the dough into the oil. It should immediately float and give off bubbles on all sides. Once you get the oil right, go to the next step. Fry each disc for about two minutes on each side, or until it starts to crisp up a little. When done, remove to a paper-towel lined plate or cooling rack. Be very careful when frying the dough. That oil is HOT, and it will burn you extremely well if given the chance. So don’t give it the chance! When placing the discs in the oil, do it slowly and easily. Don’t just throw it at the pan unless you like little red circles on your hands and face. You can use fry bead any number of ways. 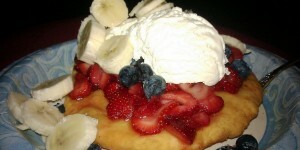 Put a little butter and/or honey or syrup on it, and you’ve got a Native American take on pancakes. 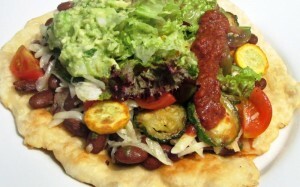 Serve it as the bread for a meal, or substitute fry bread for tortillas the next time you make tacos. A granny makes fry bread the old-fashioned way – over an open fire. 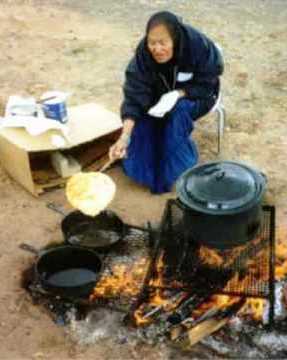 One trick several Native American grannies have passed on to me is that you know for certain the fry bread is done when it starts to float on the oil. This is especially true for the second side. Another trick I got from the grannies is to cut a small slit in the middle of each disc. This will help prevent the bread from bubbling up in the center so that you get a more uniform look and texture. If you do some research, you’ll find numerous variations on fry bread. This is the simplest recipe, and works for sweet and savory dishes. But feel free to try others. If you’re going to make fry bread for breakfast – to substitute for pancakes, you can add a tablespoon or two of sugar, and even some cinnamon if you desire. Now you have an authentic Native American recipe to add to your file. And you can use it any way you like. But do me a favor, if you make tacos with them, think of me while your enjoying them, OK? Check out my Sonoran-Style Shredded Beef. Then take a look at my Manly American Tacos. Try my other Dessert Recipes here.